This series of selected readings is compiled from the archived Ashden Directory of Environment and Performance (2000-2014), and gives an insight into the project and perspectives addressing the emerging arts and sustainability theme. In the late 1990s, the Ashden Trust commissioned Wallace Heim to survey British artists working in the area of performance and ecology. Her research suggested that a website documenting these productions could serve as a directory, to put artists in touch with environmentalists and researchers and support what seemed like a new and undervalued field. The Ashden Directory was launched in 2000, and over the next 14 years, the editors built the first and most comprehensive database of productions and of theatre companies working on environmental themes, listing over 700 productions. A timeline linked environmental events and political landmarks to developments in art and theatre. The editors conducted interviews, held debates, commissioned essays, journals and films, as well as reported news. 8 years in, Ashdenizen, the companion blog to the Directory, began to offer commentary on how the performing arts and wider cultural themes related to climate change. Landing Stages offers a selection from both these sites, with essays, interviews, journal articles and projects that provoke new ways of thinking identified. 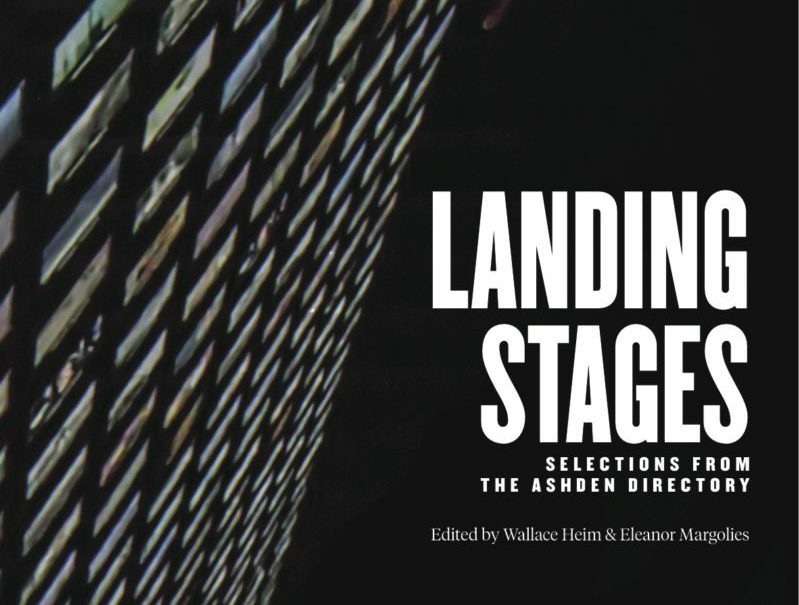 The whole book can be downloaded in pdf from via this link: Landing Stages – Selections from the Ashden Directory of Environment and Performance 2000 – 2014.